So because this blog is all about my experiences of been in my 20’s, I want to write about the new experiences/thoughts/places I go. So this blog may be a little different from the others, but it’s okay if this isn’t your cup of tea (pst…I don’t really like green tea much). Anyway, last night, me and one of my sisters, Becky, went to an outdoor cinema for the first time. It’s been on my bucket list for a while so I was pretty excited! It didn’t rain, so that’s a miracle in itself! But it was slightly chilly – next time, I’d take a blanket or a decent hoodie! We got there 45 minutes after doors opened and it was quite full already but we managed to find a bit of a spot for the two of us, laid out our blanket and got our snacks out and settled in for the 8:30pm start time! 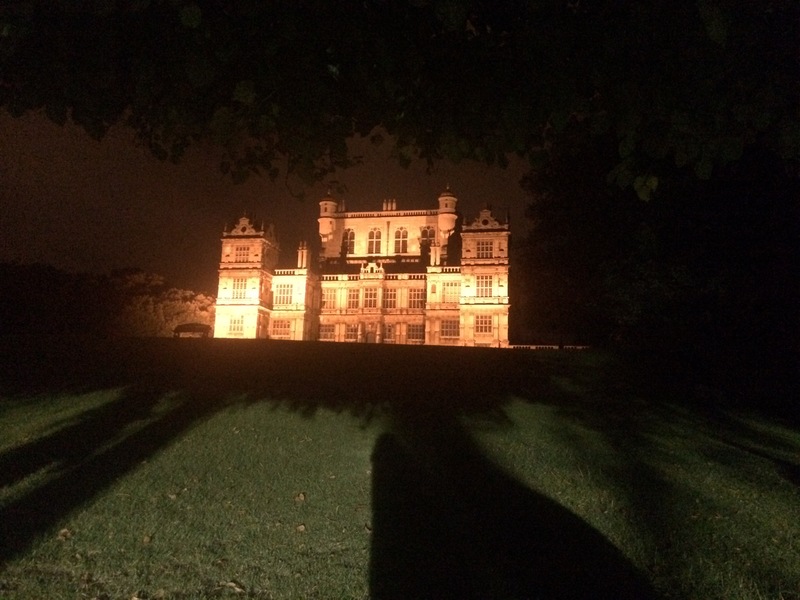 The film was The Dark Knight Rises so it was 2 hours and a half long but we were in the very relevant setting of Wollaton Hall (which, if you don’t know, was where they filmed some of the scenes for the Wayne Manor). So it was a lovely experience of seeing the hall and knowing we were sat right outside the place I grew up playing in and around the grounds! The film itself was a little bit on the long side but I enjoyed it all the same and hadn’t seen that one before. 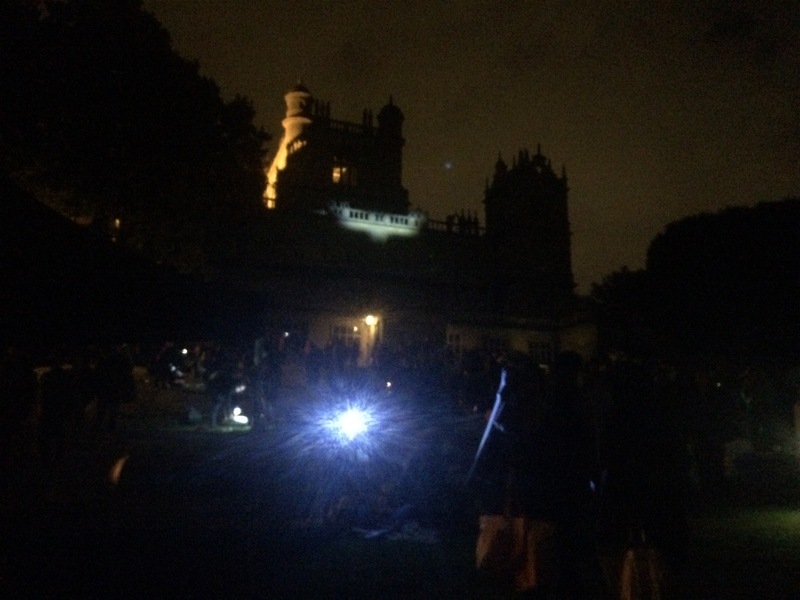 The best bit had to be the end, when people where packing up and leaving, I’m not sure who did it but the big batman signal was shone or projected onto Wollaton Hall. (I’ll insert a very blurry and out of focus photo below, it didn’t do the moment justice but it felt very ‘magical’)! 1. Get there a little bit earlier for the best seats! Where we sat, was great for us, there were only 2 of us and we could ‘slot in’ anywhere. But if I was in a bigger group, or had more things with us, I think it’d be beneficial for us to get there a little earlier and pick our seats. Also maybe be a little closer to the screen, since the speakers where at the front only, the sound was different and a bit muffled where we were compared to closer to the front and people won’t get in your way as much. 2. Take a couple of blankets and hoodies! Take a blanket to sit on and a spare one, just in case you get cold and the hoodies too (the extra one if someone steals one of yours…Becky :’))! British weather is untrustworthy! It may say it’s 20 degrees but it felt like 10 at some points! 3. Go to the bathroom before hand! It may seem obvious but I made the rookie mistake of waiting, then having to weave in and out of people on the ground, in the dark, it was tricky business! I almost lost my sister on the way back and it just wasn’t worth it! Make sure you’ve got plenty of time to nip to the loo beforehand! 4. Take tea in a flask! I forgot this one! We had cold drinks and plenty of them but I wanted a little cup of tea and should’ve made a flask up to take with us for that extra warmth! 5. Pack up a little bit early. Once the film finishes, there’s always a mad rush of people herding together to get out at the same time, it never hurts to quietly pack up your stuff 10 minutes before the end so you can just get out of there before the stampede! Along with this one, don’t park in the main car park, save yourself the wait and park a few streets over if you can!